Little did I know that in 1977 when I was listening to ground breaking music with our very cool Spanish summer student that years later some of this would continue to make an impact. I was just 12 years of age and I was listening to music by fabulous bands and artists such as ELO, Lou Reed, Supertramp and Bob Dylan. 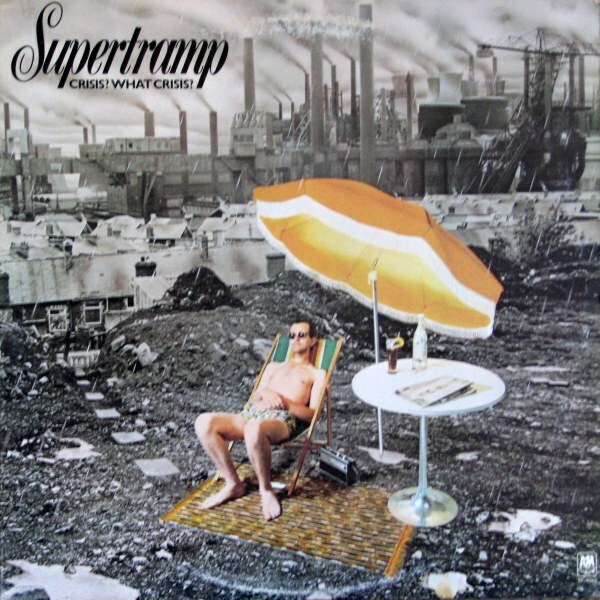 That summer we listened to some incredible albums including Face the Music (ELO), Even in the Quietest Moments (Supertramp), Street Hassle (Lou Reed) and one that always stuck in my mind was Crisis, What Crisis? by Supertramp. I loved the name of the album, the cover was really cool and the music lived up to the promise. My passion for music kicked off that summer so much so that I ended up opening my own music stores (I reckon I made a lot of landlords wealthy!) in my twenties and now we find ourselves often operating in the Crisis business. Much of our normal PR work is planned out in advance with our clients having clear communication objectives – its our job to secure media coverage to achieve these objectives. With Crisis PR work you can get a call on a Sunday, which requires you to drop everything that you are doing and jump into action for an organisation that requires immediate help to deal with a situation. These situations are always different, they require clever thinking on your feet and inevitably they are very fluid, often changing by the minute. Sometimes an organisation has the benefit of some advance warning where they have prior knowledge of something that could happen, which they know may require careful handling with the media and other stakeholders. Over the last number of years this seems to have been an area of our business, which has grown and grown. We have recruited deliberately to give a great service in this area as our team now includes ex-journalists, individuals with political communication experience, individuals who provide media training and others with significant TV experience. We also find that our expertise in social media is vital in a crisis situation as you can track issues, mentions and sentiment about the issue. This helps greatly with our media communications as you can gauge the temperature of an issue and use this information to often correct misunderstandings. Just like you take out an insurance policy to protect against risk it is a really good idea to have a plan in place to prepare your organisation for a crisis situation. No organisation can afford to hide in a crisis as it has the potential to damage relationships with clients and stakeholders, wreak havoc with an organisation’s reputation, seriously effect revenue and in some cases lead to closure. Social media in particular can accelerate the speed and damage from a crisis situation. This entry was posted on April 18, 2014 at 5:08 pm and is filed under Crisis PR, PR. You can follow any responses to this entry through the RSS 2.0 feed. You can leave a response, or trackback from your own site. I agree that crisis PR is important. often the media just need a quote, even if it says nothing, its still something. But another aspect of crisis PR is when a statement is drawn up it should be sent to all the media, or certainly all the media who are covering a particular story. I’ve covered many stories where only one reporter receives a statement, that can happen for a variety of reasons; old email lists, out of town PR company, an exclusive being promised… the result is the opposite then to what the statement was meant to achieve.